If in the West the Red Army is largely absent from World War II, the Soviet Union’s responsibility for igniting the war is omnipresent. The MSM and western politicians tend to regard the Nazi invasion of the USSR in June 1941 as the Soviet Union’s just reward for the 1939 Nazi-Soviet non-aggression pact. As British Prime Minister Winston Churchill put it, the USSR «brought their own fate upon themselves when by their Pact with [Joachim von] Ribbentrop they let Hitler loose on Poland and so started the war…» Operation Barbarossa, the Nazi invasion of the USSR, was Stalin’s fault and therefore an expatiation of sins, so that Soviet resistance should not be viewed as anything more than penitence. Whereas France and Britain «appeased» Nazi Germany, one MSM commentator recently noted, the USSR «collaborated» with Hitler. You see how western propaganda works, and it’s none too subtle. Just watch for the key words and read between the lines. France and Britain were innocents in the woods, who unwisely «appeased» Hitler in hopes of preserving European peace. On the other hand, the totalitarian Stalin «collaborated» with the totalitarian Hitler to encourage war, not preserve the peace. 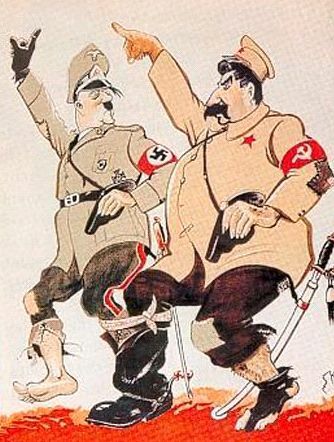 Stalin not only collaborated with Hitler, the USSR and Nazi Germany were «allies» who carved up Europe. The USSR was «the wolf»; the West was «the lamb». These are not only metaphors of the English-speaking world; France 2 has promoted the same narrative in the much publicised television series, «Apocalypse» (2010) and «Apocalypse Staline» (2015). World War II erupted because of the non-aggression pact, that dirty deal, which marked the beginning of the short-lived «alliance» of the two «totalitarian» states. Hitler and Stalin each had a foot in the same boot. MSM «journalists» like to underscore Stalin’s duplicity by pointing to the abortive Anglo-Franco-Soviet negotiations in the summer of 1939 to create an anti-Nazi alliance. No wonder they failed, how could the naïve French and British, the lambs, think they could strike a deal with Stalin, the wolf? Even professional historians sometimes take this line: the 1939 negotiations failed because of Soviet «intransigence» and «duplicity». If ever Pot called Kettle black, this has to be it. And of course the trope of the Pot and the Kettle is a frequent device of western or MSM propaganda to blacken the USSR and, by implication, to blacken Russia and its president Vladimir Putin. There is just one problem with the western approach: the MSM «journalist» or western politician or historian who wants to incriminate Stalin for igniting World War II has one large obstacle in the way, the facts. Not that facts ever bother skilled propagandists, but still, perhaps, the average citizen in the West may yet have an interest in them. Consider just a few of the facts that the West likes to forget. It was the USSR which first rang the alarm bells in 1933 about the Nazi threat to European peace. Maksim M. Litvinov, the Commissar for Foreign Affairs, became the chief Soviet proponent of «collective security» in Europe. He warned over and over again of the danger: Nazi Germany is a «mad dog», he said in 1934, «that can’t be trusted with whom no agreements can be made, and whose ambition can only be checked by a ring of determined neighbours». That sounds about right, doesn’t it? Litvinov was the first European statesman to conceive of a grand alliance against Nazi Germany, based on the World War I coalition against Wilhelmine Germany. Soviet would-be allies, France, Britain, the United States, Romania, Yugoslavia, even fascist Italy, all fell away, one after the other, during the mid-1930s. Even Poland, Litvinov hoped, could be attracted to collective security. Unlike the other reluctant powers, Poland never showed the slightest interest in Litvinov’s proposals and sought to undermine collective security right up until the beginning of the war. Litvinov reminds me of Russian foreign minister Sergey Lavrov in his thankless dealings with the Russophobic West. During the interwar years, the Russophobia was mixed with Sovietophobia: it was a clash of two worlds between the West and the USSR, the Silent Conflict, Litvinov called it. When things were going badly, Litvinov appears occasionally to have sought consolation in Greek mythology and the story of Sisyphus, the Greek king, doomed by Zeus to push forever a large rock to the top of a mountain, only to see it fall back down each time. Like Sisyphus, Litvinov was condemned to pointless efforts and endless frustration. So too, it seems, is Lavrov. The French philosopher, Albert Camus, imagined that Sisyphus was happy in his struggles, but that’s an existentialist philosopher for you, and Camus never had to deal with that damned rock. Litvinov did, and never could stick it on the mountaintop. My point is that it was the West, notably the United States, Britain, and France – yes, that’s right, the same old gang – which dismissed Litvinov’s repeated warnings and spurned his efforts to organise a grand alliance against Nazi Germany. Dominated by conservative elites, often sympathetic to fascism, the French and British governments looked for ways to get on with Nazi Germany, rather than to go all out to prepare their defences against it. Of course, there were «white crows», as one Soviet diplomat called them, who recognised the Nazi threat to European security and wanted to cooperate with the USSR, but they were only a powerless minority. The MSM won’t tell you much about the widespread sympathy for fascism amongst conservative European elites. It’s like the dirty secrets of the family in the big house at the top of the hill. Poland also played a despicable role in the 1930s, though the MSM won’t tell you about that either. The Polish government signed a non-aggression pact with Germany in 1934, and in subsequent years sabotaged Litvinov’s efforts to build an anti-Nazi alliance. In 1938 it sided with Nazi Germany against Czechoslovakia and participated in the carve-up of that country sanctioned by the Munich accords on 30 September 1938. It’s a day the West likes to forget. Poland was thus a Nazi collaborator and an aggressor state in 1938 before it became a victim of aggression in 1939. By early 1939, Litvinov had been rolling his rock (let’s call it collective security) up that wretched mountain for more than five years. Stalin, who was no Albert Camus, and not happy about being repeatedly spurned by the West, gave Litvinov one last chance to obtain an alliance with France and Britain. This was in April 1939. The craven French, rotted by fascist sympathies, had forgotten how to identify and protect their national interests, while the British stalled Litvinov, sneering at him behind his back. So Sisyphus-Litvinov’s rock fell to the bottom of the mountain one last time. Enough, thought Stalin, and he sacked Litvinov and brought in the tougher Vyacheslav M. Molotov. Still, for a few more months, Molotov tried to stick the rock on the mountaintop, and still it fell back again. 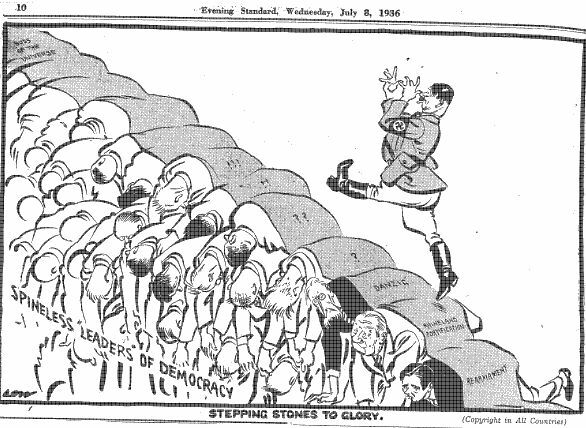 In May 1939 Molotov even offered support to Poland, quickly rejected by Warsaw. Had the Poles lost their senses; did they ever have any? When British and French delegations arrived in Moscow in August to discuss an anti-Nazi alliance, you might think they would have been serious about getting down to business. War was expected to break out at any time. But no, not even then: British instructions were to «go very slowly». The delegations did too. It took them five days to get to Russia in an old, chartered merchantman, making a top speed of 13 knots. 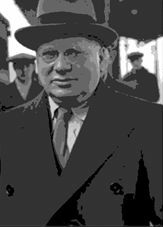 The British head of delegation did not have written powers giving him authority to conclude an agreement with his Soviet «partners». For Stalin, that must have been the camel breaking straw. The Nazi-Soviet non-aggression pact was signed on 23 August 1939. The failure of the negotiations with the British and French led to the non-aggression pact, rather than the other way around. Sauve qui peut motivated Soviet policy, never a good idea in the face of danger, but far from the MSM’s narrative explaining the origins of World War II. 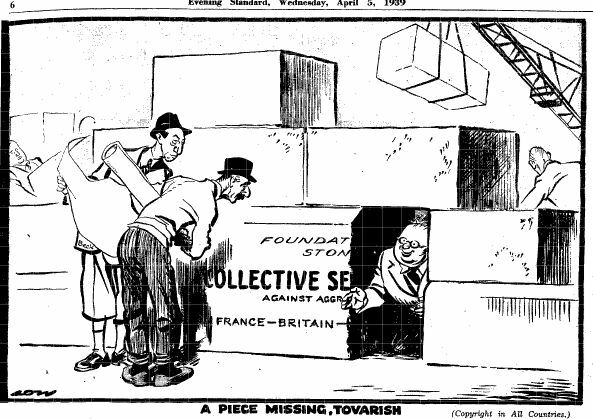 Good old Perfidious Albion acted duplicitously to the very end. During the summer of 1939 British government officials still negotiated for a deal with German counterparts, as if no one in Moscow would notice. And that was not all, the British prime minister, Neville Chamberlain, boasted privately to one of his sisters about how he would fool Moscow and get around the Soviet insistence on a genuine war-fighting alliance against Nazi Germany. So who betrayed who? Historians may debate whether Stalin made the right decision or not in concluding the non-aggression pact. But with potential «partners» like France and Britain, one can understand why sauve qui peut looked like the only decent option in August 1939. And this brings us back to Pot calling Kettle black. 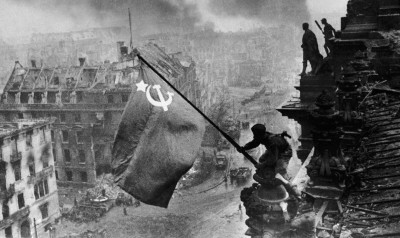 The West foisted off its own responsibilities in setting off World War II onto Stalin and the Soviet Union.